If you already have an SMSAPI account, log in or create an account. 2. 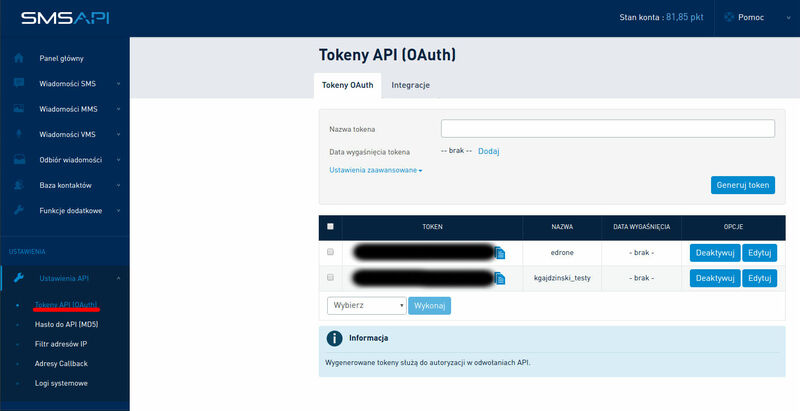 In the top left corner, choose API settings -> "API Tokens(OAuth)". Next, generate a token named "edrone" and save it in our system (scroll up). 3. To add a new sender, go to the "SMS messages" section-> "Sender names". This sender will be automatically displayed in the edrone panel. Currently, SMSAPI integration is used in the "Recover abandoned carts" scenario and "SMS Newsletter"